In the UK, especially with the NHS, it can be extremely difficult to get treatment for low testosterone. Many GPs flat out refuse treatment. Doctors in the UK can be shockingly clueless about many medical conditions in my experience. Sometimes you just have to do your own homework. For example, I suffer from a skin condition called Rosacea. I stay up to date with all the latest developments in the treatment of this condition. On arrival in the UK, I heard about a new treatment that had been on the market for about a year. Feedback was positive and it sounded like the treatment would be much better than what I was currently using. So I went to my GP, and asked him if he could prescribe it for me, so that I could see if it improved my condition. He hadn’t even heard of it! That story highlights the necessity for you to take control and ownership of your own health – because nobody else will, and even if they do, it might not be the best advice or solution. 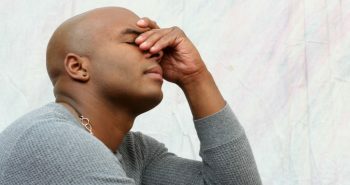 In the UK, especially with the NHS, it can be extremely difficult to get treatment for low testosterone. Many GPs flat out refuse treatment, even when clear symptoms and signs are evident. As testosterone replacement therapy has been around for quite some time now, many doctors still remain behind with the times and can be very ignorant on the subject. Even if you have a valid case of low testosterone, many GPs will refuse treatment due to inexperience in this field. To prevent getting stonewalled by your doctor, it always helps to be prepared. Learning as much as you can about a condition beforehand is essential. This is your body, your health and your well-being. Therefore the responsibility lies with you, not the GP, to do everything you can to take care of it. For low testosterone, the levels you need to be at to qualify for testosterone replacement therapy are already very low (< 12 nmol/l or 350 ng/dl). Even still, doctors may be hesitant or refuse treatment when your levels are at or below that level, for example 8-12 nmol/l. Many of you, including myself, have learnt this from experience, as you’ve all probably seen now on my YouTube channel where we talk about this. You need to come fully prepared. Luckily, there is a set of UK Guidelines which includes a section on low testosterone and treatment. See the image below. 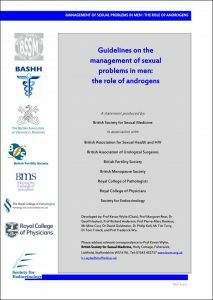 You can download the UK Guidelines on Low Testosterone here, or you can get them straight from the British Society For Sexual Medicine’s website. Simply click the link that says: “Management of sexual problems in men: the role of Androgens”. This is not a guarantee that you will get treatment, but it certainly bolsters your case if you’re GP is being difficult. Good luck! If this helped your case, please let us know by sending me a message or leaving a comment on my YouTube Channel.